All City Exteriors Ltd. was founded in 1989 by brothers Gary and Randy Van Elslander. Our initial focus was on residential installations of Eavestrough, Soffit and Fascia, and our services quickly expanded throughout the ‘90s and now includes Roofing, Siding and Commercial Steel Installations for Walls and Roofs. For four generations, The Van Elslander name has been associated with small business in Winnipeg and Manitoba. We can proudly say – our family has offered quality services through a variety of businesses and employed fellow Manitobans since the 1930s. The Van brothers understand and appreciate how fortunate they are to continue doing business in our beautiful city. Winnipeg’s vibrant arts scene and local sports teams (from community clubs and high school programs all the way to the pros) have always received All City’s support. 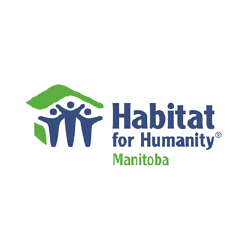 We are very proud of our ongoing association with Habitat for Humanity. In 1993, we took part in the Jimmy Carter Work Project. This continued, on occasion, with gutter installations through the 2000s. Now, in the summer of 2016, we are volunteering our labour and materials to help with a complete home build. It’s a great organization, helping people with home ownership, and allowing All City to be a small part of the finished project. Exterior services continue to be the most important part of our business. Some years ago, however, we formed a partnership with Elite Distributors. Through this partnership, we continue to import various building products and have completed one small land development project. Presently, we have land east of the city that we are hoping will be in development quite soon.